140 Series hasp and staple suitable for the Diskus padlock. Combines a high level of security with an extremely high level of anti-corrosion. 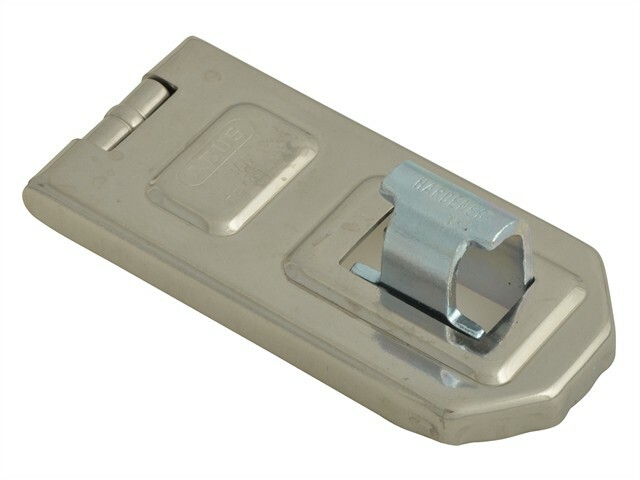 Specially designed staple protects shackle opening of Diskus locks. Only Carded versions include screws & fixings. 140/120 for flush closing doors: Length: 120mm. 140/190 for doors not closing flush: Length: 190mm.